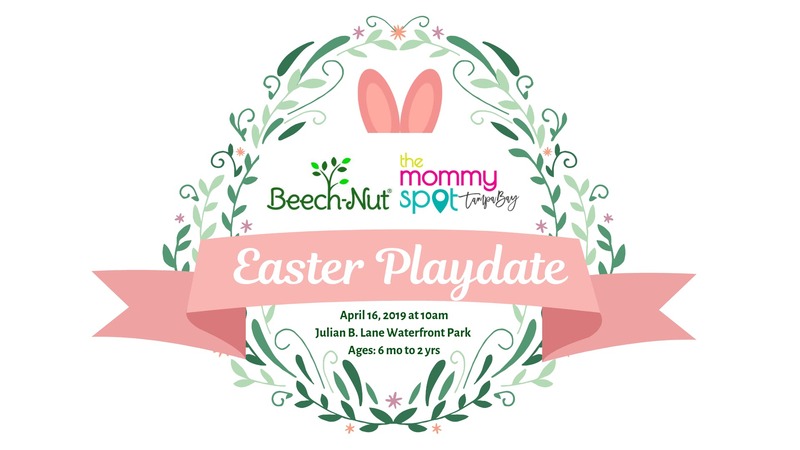 Join The Mommy Spot Tampa Bay for an Easter Beech-Nut® Naturals™ Mommy Meetup & Playdate! This fun and FREE event will be held on Tuesday, April 16, 2019 at Julian B. Lane Riverfront Park at 10 am. The event will be co-hosted by local mommy bloggers: Alex from Alex The Real Housemom, Jennifer from The Foodie Patootie, Johanna from A Mom's Life for Me, Holly from Your Young Mom, Christine from Crafted by Christine and Christina from The Mommy Spot Tampa Bay. We will be having some Easter fun with Beech-Nut® Naturals™ activities, gardening and crafts! The event is FREE, but registration is required. This event is intended for moms who have children ages 0 to 24 months. Feel free to dress in Easter best or cute gardening inspired outfits. If you can't make it and have registered for the event, please let us know so we can make room for another mommy! Disclaimer: Please note, by registering for this event you will be added to The Mommy Spot Tampa Bay's newsletter. You will also be photographed where you and/or your child might be featured on our social media or website.